Oh hellz no! I would have walked right out on those dumbasses! Uhh...nope, sorry. I've been unemployed nearly 2 years now after basically telling my vindictive supervisor she could do the same thing as suggested in the original response to the article. I'm as in need of a job as anyone, maybe moreso, but I will NEVER again sacrifice my dignity and self-respect for a paycheck. You guys are right. Grow a pair. I did. And I'm a better man for it. Thanks for taking time to comment, Anon. You are my kind of Dumbass. I hope a job finds you soon, amigo. 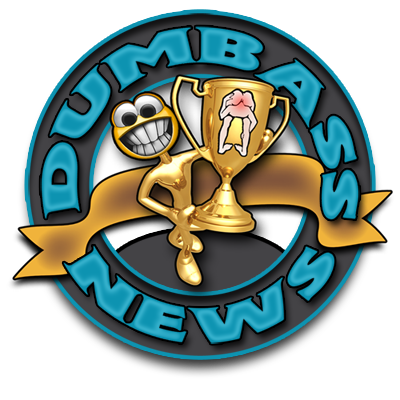 BTW...I obviously have no idea of your job qualifications or area of expertise, but if you wanna put a short resume in a comment or email it to me (realdumbassnews@gmail.com) I'd be happy to pass it around to my social media contacts and/or friends.